[They] all understood the fleeing from war, from the kind of poverty that crushed human souls, but they would not understand the need to escape from the oppressive lethargy of choicelessness. They would not understand why people like him, who were raised well-fed and watered but mired in dissatisfaction, conditioned from birth to look towards somewhere else, eternally convinced that real lives happened in that somewhere else, were now resolved to do dangerous things, illegal things, so as to leave, none of them starving, or raped, or from burned villages, but merely hungry for choice and certainty. Americanah opens shortly after Ifemelu, a Nigerian woman who has been in America for thirteen years, decides to move back to her country. On a hot summer afternoon, Ifemalu makes the journey from Princeton, where she’s a research fellow, to an African hairdresser all the way in Trenton to get her hair braided. The fact that she has to travel away from the genteel privilege of Princeton to find a place that acknowledges the existence of natural black hair is the kind of detail that speaks volumes about Americanah’s political core. At the hairdresser, Ifemelu is questioned about her choice to leave America behind. Her questioners are fellow African women; women with something in common with Ifemelu, but whose overall experiences are radically different from hers because of their different class backgrounds. As the narrative moves back and forth between Ifemelu’s youth in Nigeria, her everyday life in America, and her life after she returns to Lagos, we come to understand her longing for her country, her complicated relationship with America and its racial politics, and the reasons why she left Nigeria in the first place. Adichie’s novel has a second point of view character, Obinze, Ifemalu’s boyfriend in secondary school and college and a sharer of her American Dream. The two spend their youth planning their escape, but whereas Ifemelu is successful in obtaining a student visa, Obinze is denied entry to America and ends up an illegal immigrant in London. Americanah compares the experiences the two have as immigrants in different countries who live on different sides of the law. It also documents their tender and tortuous love story — a love story that moves across decades, geopolitical boundaries, and seemingly irrevocable life decisions. As I said a few months back, when I wrote my recap of the Adichie talk I was lucky enough to attend, I love how Americanah complicates the dominant narrative about African immigrants. It does this by telling the story of two middle-class people who move away from Nigeria not to escape poverty or war, but for a respite from “the oppressive lethargy of choicelessness”. There are, of course, social and political reasons why Ifemelu and Obinze’s lives in Nigeria are constrained by choicelessness, and Americanah tackles these head-on. However, I was especially interested in the fact that Adichie does this in a way that acknowledges the legitimacy and complexity of her characters’ life choices. The Nigeria Ifemelu and Obinze grow up in is marred by a military dictatorship, and all around them people are being forced to decide whether to stay and fight for the improvement of the country they love, often at a great personal cost, or leave and try to fulfil their ambitions elsewhere. Adichie is too smart and compassionate a writer to ever go for facile judgements, and her depiction of Ifemalu and Obinze’s international ambitions is no exception. Her characters believe in social and political reform; they believe that a better Nigeria is possible. Nevertheless, their narratives acknowledge that nobody has the personal obligation to throw their future under the bus to strive for this goal. Similarly, although Ifemalu and Obinze have what many would call colonised imaginations, Americanah acknowledges that this is not the result of gullibility, weakness of character, lack of intelligence or political savvy, or of having been personally duped in any way. There’s a long, loaded history and a complex cultural context behind the fact that they believe that “real lives happen somewhere else”, and it’s possible to question this context without pointing fingers at or patronising the people whose ambitions are shaped by it. The novel also does this in a way that leaves room for the emotional reality of the characters’ desires: this might be a slightly strange parallel to make, but Adichie’s approach puts me in mind of what Katherine Angel says about the patriarchal forces that shaped her desire and how she gets to reclaim it nonetheless. Ifemalu and Obinze’s American dreams were formed in the context of cultural imperialism, but that doesn’t mean that the emotional relationship they have with the idea of America and the pull this idea has on their imaginations isn’t very much real, and important to them. One of the most memorable lines in Americanah is Ifemelu’s assertion that she only became black when she moved to America. Growing up in Nigeria, she was part of the racial majority, and this made her own blackness almost invisible to her. She was aware of being black, but race wasn’t a dominant feature of her identity — it only became one once she made the journey across the Atlantic. Her experience of race is therefore very different from the experiences of the African-Americans she gets to know during her time abroad. Ifemelu’s existence in America is of course affected by racism, and during her first few years in particular she has a very difficult time. But because this is something she experiences as an adult rather than something she grows up with, it doesn’t affect her sense of self in the same way it affects, say, her little cousin Dike’s, who moves to the US as a very young boy and who feels displaced in a way entirely different from Ifemelu’s. One of the things Ifemelu struggles with is the indiscriminate imposition of American racial narratives on the rest of the world. Even some of the anti-racist activists she meets don’t always acknowledge the fact that her being from Nigeria means she’s had a different experience of race, and she finds herself slightly bemused by the collective insistence that race must have shaped her life in Nigeria in ways she doesn’t quite realise because she lacks political sophistication — in ways that must be, in fact, a little more like the American experience. What this assumption of universality actually amounts to is a form of erasure; a flattening out of the complexity of other countries’ histories and racial dynamics and a denial of people’s lived experiences. This aspect of the novel particularly resonated with me, for reasons I’ll try to explain: my partner is Brazilian, and he has occasionally found himself having awkward conversations with smart, caring, well-meaning American acquaintances who nevertheless make clumsy assumptions about his racial identity and life experiences based on the fact that he’s from “the third world”. He’s sometimes assumed to be a person of colour with expert knowledge of racial oppression, but in reality he’s a white middle-class person who holds dual citizenship because he’s only two generations removed from his family’s European background. Having grown up white in a multiracial society means he benefited from white privilege every day of his life, and when people conflate his experiences with those of the many people of colour in his country, he feels not only misrepresented but also implicated in a kind of appropriation he wants no part of. This imposition of racial labels people didn’t choose for themselves is always tricky, but the conflation of widely different levels of privilege adds another layer to the problem. In Americanah, Ifemelu experiences this not only when people assume she must have been racially oppressed in Nigeria, but when they erase her economic privilege by lumping her together with the poverty-stricken or with war refugees. Race is of course a construct that goes far beyond skin colour, and my partner’s experiences would almost certainly have been different had he grown up in America. But the reality is that he didn’t, and there’s something troubling about the assumption that his whole life must have unfolded in Anglo-American cultural spaces, where only American racial dynamics matter. None of this is to say that his identity as a South American immigrant in Europe doesn’t place him outside of cultural hegemony, but this affects his life in ways that the American racial narrative doesn’t quite account for. The same goes for Ifemelu’s life as a middle-class Nigerian who moved to America as an adult, and the social dynamics in Americanah are in part driven by her attempts to have this acknowledged by the people she meets. All this to say: the next time someone insists intersectionality is a useless distraction from The Real Problem, we could always try gently hitting them on the head with a copy of Americanah. Semi-personal detour over: the last point I want to make about Americanah is that in addition to being a smart and sophisticated political novel, it’s also a) really funny and b) a lovely romance. I actually feel slightly guilty about that “in addition to” — when I saw Adichie speak, she said it annoyed her when reviewers made a point of saying her novel was “not just” funny and “not just” a romance, as if neither of those things was sufficiently respectable in itself. So to clarify, I didn’t see the humour or the romance as cherries on top of the real cake of the social commentary, but as essential parts of what made Americanah such a compelling and satisfying read. I’ve not yet read many reviews of this novel, but it will be interesting to see what people make of the humour in particular. I was delighted by Adichie’s versatility as a writer, but given the long cultural tradition of taking humorous stories less seriously than tragic ones, I wonder if this will lead to unfavourable comparisons with her other works. Also, much as I love Half of a Yellow Sun (and really, I can’t stress enough how much that is), it meets people’s expectations of the tragic story set in Africa, whereas Americanah deliberately subverts them. Now that I’ve written down my thoughts at long last, I look forward to seeing what the critical reception has been like. Parting thoughts: I couldn’t put Americanah down, and I’ll be very surprised if it’s not high on my list of favourite reads of the year. Another stunning novel from an author who has yet to disappoint me. I have this one on my Nook, and I'm very excited to read it. I'm going to come back and re-read this review once I've finished the book, too. Great stuff, Ana! Excellent review. While you liked the book much more than I did, I did find much to admire in Americanah. I already wanted to read this book, but as someone much like your partner (South American immigrant in Europe, dual citizenship), the fact that Americanah deals with the assumption that the American experience of racism is universal and with the experience of growing up somewhere you're in the racial majority and then moving somewhere you are a minority, well, that makes me want to pick it up right now! I love Adichie, and I wasn't disappointed in this book. Like you, I was struck by how Ifemelu only felt black when she arrived in America and I loved the inclusion of her blog posts. I wanted to hear more from Obinze. Thank you for this really interesting post on what sounds like a very interesting and complex novel. I wondered if you'd seen this interview with Adichie -- she seems a fairly formidable personality! Andi: I can't wait to hear what you think! James: Have you reviewed it? I seem to have missed, but I'll go look now. Curious to read your thoughts! Rosario: Yes, you need to pick it up right now! There's a lot to the book that's specific to being black in America, but there's just as much that I think will resonate with anyone who has experienced immigration or who belongs to a minority - especially if, like in your case, that's something you only experiences later in life. Sam: I so wish her blog was real! It surprised me that the entries were so hilarious. 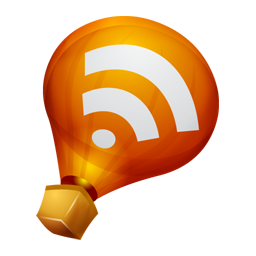 Thank you also for your link (and sorry I missed it!). Bettina: Very interesting question! I completely get what you mean about us Europeans being even more clueless about race. The impression I get is that even though there's still much progress to be made in America, the conversations that need to be had are out in the open, at least to some extent. The "I-don't-see-race-and-racism-is-no-longer-an-issue" narrative that you do find among white Americans is even more prevalent in Europe, and it stifles debate. 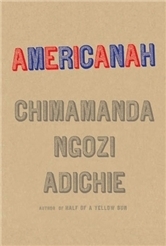 I don't want to give the impression that Americanah is a novel about how America is the worst possible place race-wise - comparisons are always tricky, but at the end of the day Obinze has a much harder time than Ifemelu, and Adichie writes about America with affection as well as critical insight. Having said all this, my partner says that the experience of being categorized as a person of colour because he's from Brazil is unique to Americans, particularly white Americans. This is probably because the concept of "Latino" as a racial category that encompasses such a wide range of ethnicities, cultures and nationalities doesn't even exist in Europe. This isn't to say we don't have discrimination (before the economic collapse we had a lot of Brazilian immigrants in my country, and although the white ones were perceived as white xenophobia was a very real thing), but it works in different ways. Because of how race dynamics work in America, Americans are more likely to indiscriminately categorize anyone from the developing world as non-white, regardless of how people identify and label themselves. Rohan Maitzen: I hadn't seen it, no - the title alone makes me excited to read it! Thank you so much for pointing me towards it. Great review - I think it is true that Americans tend to think of racial issues only as they are manifested in our society. I still haven't read Half a Yellow Sun, so that will likely be the next Adichie that I read. I liked but didn't love Purple Hibiscus, but I'd like to give her books another go. Wow. I am *so* glad I put this book on my library book club's list for next year. I'll be referring to your review several times before we discuss the book, too! And this: "Even some of the anti-racist activists she meets don’t always acknowledge the fact that her being from Nigeria means she’s had a different experience of race, and she finds herself slightly bemused by the collective insistence that race must have shaped her life in Nigeria in ways she doesn’t quite realise because she lacks political sophistication — in ways that must be, in fact, a little more like the American experience." That kind of took my breath away. I am going to have to think about it, and deeply, sometime when I'm not up to my eyeballs in planning for children's programs tomorrow. I was waiting to hear what you thought of this! I'm actually really intrigued that this one is different (with some humor, even!) from her other books. After all isn't that we want from the authors we love - to surprise us with their talent. To bring us new stories, new perspectives and characters. Great review, Ana! I have been waiting and waiting to see what you would say about Americanah! I'm glad you loved it -- I really loved it too. Your write-up of the Adichie event was what pushed me to read it right away when it came out, and I couldn't be happier that I did. I've not read Half a Yellow Sun as yet but I think I'd like to go for this one first. Immigrant stories fascinate me and this taken from another aspect (which I have not heard about before in a book that is) about choicelessness and emmigration is somewhat different. We hear of emmigration from the point of view of poverty and oppression not this. Would make for an intriguing story. I've not read anything by her, but this particular books really, really resonates with me and I hope to read it soon. The whole thing about how the character wasn't black until she moved to the US is really interesting. In general, how we construct our identities and the assumptions other people make about them are really interesting. I have a personal interest in this too, because I was born in a country in which I don't feel I belong and to which I feel no attachment. So when people make assumptions based on my passport I am surprised and often end up frustrated. I can only imagine how much harder racial assumptions must be. This sounds so wonderful. I will definitely be reading it. Proving again what a wonderful blogger you are, Ana. This post was so insightful and has made me want to buy this NOW even though I still have one unread Adichie on the shelves. "All this to say: the next time someone insists intersectionality is a useless distraction from The Real Problem, we could always try gently hitting them on the head with a copy of Americanah." Thanks for a really great review. I have read other reviews which were positive, but none deals as well with what Adichie is saying about race. In ANNA IN BETWEEN, Nunez also makes the point that an Caribbean woman views race differently than African Americans. I'm excited for this (especially because it sounds like it has a lighter tone than her other books whih I've had a hard time with). I still haven't read Things Fall Apart. I need to add both these novels to my list. Gosh, this sounds SO GOOD and right up my alley. I hope I'm able to read it soon. I want to read both this and Half a Yellow Sun. And so many other books that explore race in America through a non-typical lens.